Young men and women with strange powers, usually manifest at the onset of puberty, made for a much-loved, though often critically-derided subgenre of horror movies starting with Brian De Palma’s adaptation of Stephen King’s first novel, Carrie. The strange powers might be telekinesis, an ability allowing a person to influence a physical system without physical interaction, ESP, or “sixth sense”, the ability receive information through no other form than brain power, or telepathy, the ability to read minds and communicate by way of the mind. In The Sender, Željko Ivanek plays such a disturbed young man. His amnesiac John Doe #38 arrives in a mental institution after trying to drown himself in a lake. He makes the resident nut-jobs nervous. His doctor (played by the lovely Kathryn Harrold) is intrigued and tries to get inside his head through recall and trigger effects. She becomes submerged within his psychic nightmares and fears, which leads to impressive gore and graphic effects, including an electro-shock scene straight out of an early De Palma film. Željko is revealed to be a “sender”; that is a person with the ability to project his dreams and nightmares into other people’s minds, and make them come alive. As you can imagine, it can be quite distressing. Željko Ivanek creates a sympathetic brand of monster, similar to Roland, a mentally-retarded janitor Ivanek portrayed in an eponymously-titled episode of The X-Files. “The Sender” plays like an extended X-Files episode, with Harrold subbing for the intrepid agents, Mulder and Scully. Željko Ivanek appeared in Homicide: Life on the Street as criminal prosecutor Ed Danvers. Kathryn Harrold appeared in Albert Brooks’ Modern Romance. Paul Freeman (one of Harrold’s colleagues) will always be known as Belloq from Raiders of the Lost Ark. Shirley Knight (playing Ivanek’s mother), appeared on the stage, television, and several high-profile films, including As Good As It Gets. 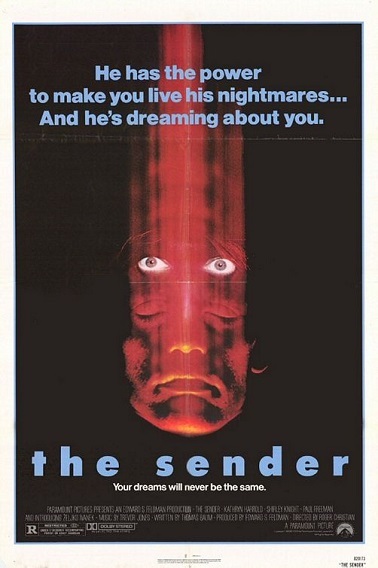 The Sender is a disturbing, thoughtful, and provocative blend of science fiction and graphic horror. Our first cable box was a non-descript metal contraption with a rotary dial and unlimited potential (with no brand name – weird). We flipped it on, and the first thing we noticed was that the reception was crystal-clear; no ghosting, no snow, no fuzzy images. We had the premium package: HBO, Cinemax, The Movie Channel, MTV, Nickelodeon, CNN, The Disney Channel, and the local network affiliates. About $25-$30 a month. Each week (and sometimes twice a week! 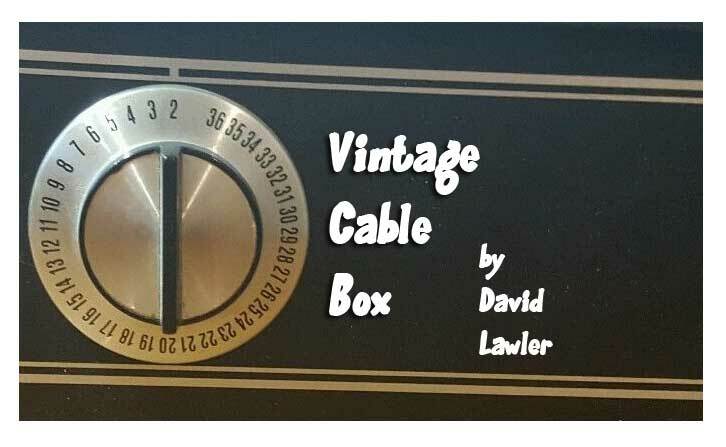 ), “Vintage Cable Box” explores the wonderful world of premium Cable TV of the early eighties.